UEFA Champions League Quarter Final Preview – The UEFA champions league is back and this time around its the quarter-final. We shall give an insight into the four matches which involve the eight teams we consider to be the best in Europe presently. They are Fc Barcelona, Ajax Amsterdam, Fc Porto, Juventus, Liverpool, Tottenham Hotspur, Manchester United, and Manchester City. The last time four of the English Premiership teams featured in this stage of the competition was 10years ago. In 2009, three made it to the semi-final but it was Fc Barcelona who went on to win. Liverpool Fc started their campaign well this season after finishing as runner-up in the competition last season. The English team finished second in their group with 9 points and went on to face Bayern Munich and won on a 3-1 aggregate. 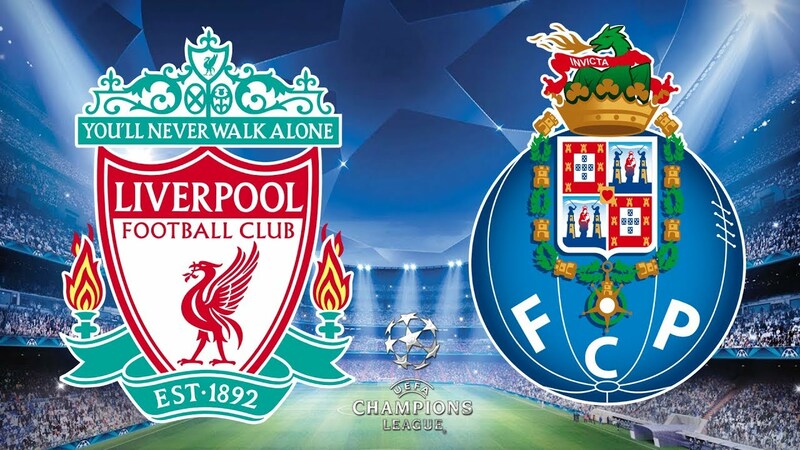 Liverpool will be facing Fc Porto on Tuesday night. Liverpool has never lost an European game against Fc Porto in six previous encounters (W3 D3 L0). The English team has progressed from four of their last five quarter-final matches in the champions league. Fc Porto qualifies for the quarter-finals after trashing AS Roma 3-1 and winning 4-3 on aggregate. The Portuguese team is set to face Liverpool at Anfield in an encounter that has never favored the Portuguese side. Fc Porto was eliminated from the competition last season by Liverpool at the round of 16 losing 5-0 on aggregate and we hope it will be a different ball game this time around. This is a very intense clash between this two English teams. It’s a clash between a London team and a Manchester team. This encounter is set to kick-off at the Tottenham Hotspur stadium, unlike their previous matches that were played at the Wembley stadium. Tottenham progress to this stage after trashing Dortmund on 4-0 aggregate. Manchester City has lost all four of their European matches against an English team losing both legs of the 1970-71 cup winners’ cupsemi-finall against Chelsea and losing both legs of last season’s quarter-final against Liverpool. Manchester City have won 11 of their last 16 matches against spurs (D1 L4) with all these coming from the premier league and have the last three in a row. This is another big encounter in the champions league quarter-final fixture. This match is said to be the biggest because of the two teams involved. Ajax came back after losing the first leg of the round of 32 to Real Madrid 1-2. The Dutch team proves their class at the Spanish capital after beating the title holder 1-4 progressing 3-5 on aggregate. Ajax is facing Juventus since September 2004 in group stages falling to a goal from Pavel Nedved. Juventus came into this fixture after an intense come-back against a Spanish side Athletico Madrid. Juve lost their first leg at Spain 2-0 and went into a fixture that seems impossible but then they trash Athletico Madrid 3-0 all thanks to a hat trick from Cristiano Ronaldo. Juventus are unbeaten in their last nine European encounters with the Dutch team (W5 D4). They have reached their third successive European champions quarter-final, their best such run since doing so in four successive seasons between 1996-1999. Manchester united went into this fixtures after an incredible turn around at the Parc des Princes stadium. United lost their first leg at home 0-2 and went on to beat PSG 1-3 at france. These two teams have met 8 times, both team winning thrice and two draws. The game is set to be highly intense as both teams still stay even with the return of Paul Pogba in the united squad and the Argentine and Barcelona Captain fully fit to take charge, the game seems to be a promising one. The spanish giant, Fc Barcelona went into this fixture after 5-1 trashing of lyon after a goal-less first leg.